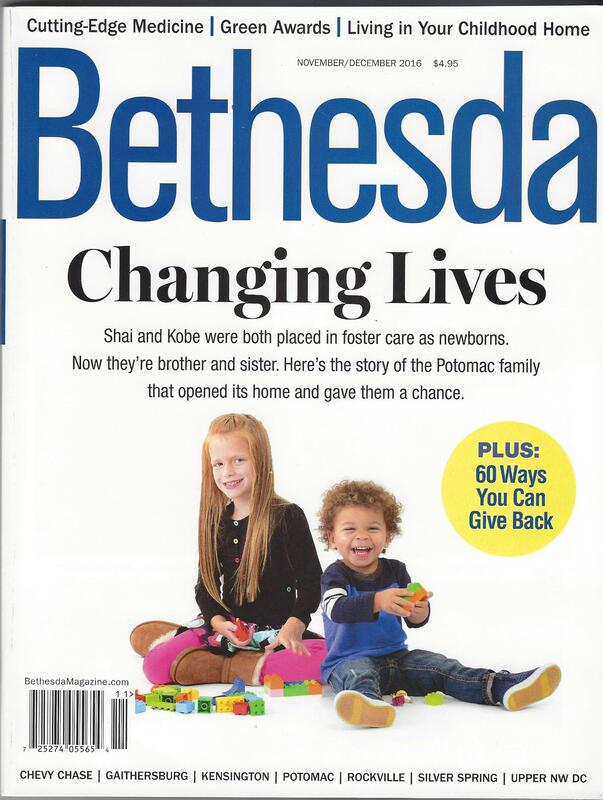 Check out this new post in the Bethesda Magazine featuring CareerCatchers! Your donations are always welcome, especially during this winter holiday season. Your financial support is critical in helping us in our mission to help victims of domestic violence, newly arrived immigrants and homeless persons earn a living wage and support their loved ones. Thank you so much to those who were able to join us at our 10th Anniversary Celebration Fundraiser on November 9! We had a full house of clients, donors, partners, board members, and staff. It was a wonderful evening. In addition to enjoying some great company, food and drink we also heard from CareerCatchers supporters—clients, partners, and donors. They each, in their own way, support the signature one-on-one, individualized, ongoing, career counseling services we provide to recent immigrants, the homeless, domestic violence victims and other disadvantaged individuals. Our clients are the under or unemployed who are most in need of but least able to pay for our services. We are very grateful to all those who gave. For those of you still thinking about contributing, it isn’t too late to make a tax deductible donation to help us serve more clients and reach our December fundraising goal of $10,000. 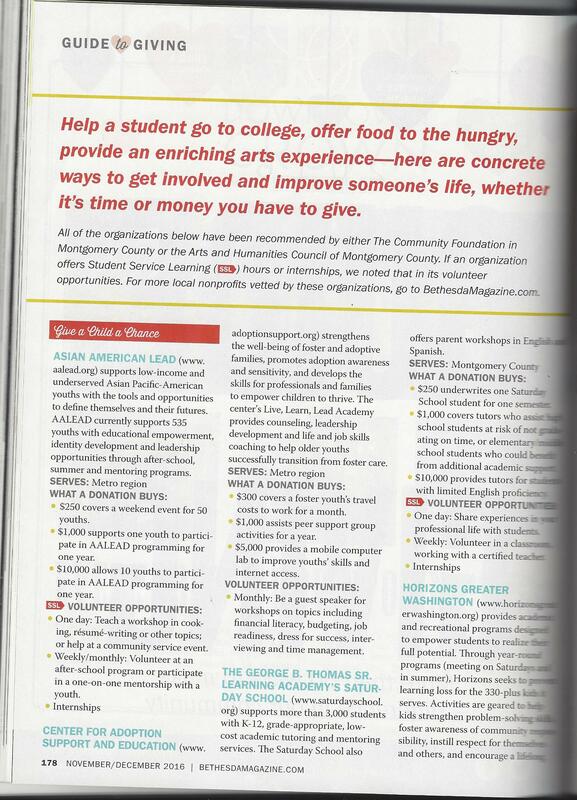 CareerCatchers is mentioned in the August newsletter from Liberty’s Promise. For those of you unfamiliar with Liberty’s Promise, they are a nonprofit organization that helps high school age immigrant youths assimilate to the United States. The organization does so by educating them about college and continuing education options, choosing career paths as well as encouraging them to get involved in community and civic engagements. During the summer, Liberty’s Promise also places youths in paid internships. CareerCatchers is one of many agencies in the DC Metropolitan area that hosts these internship opportunities. Click here to learn more about Liberty’s Promise. 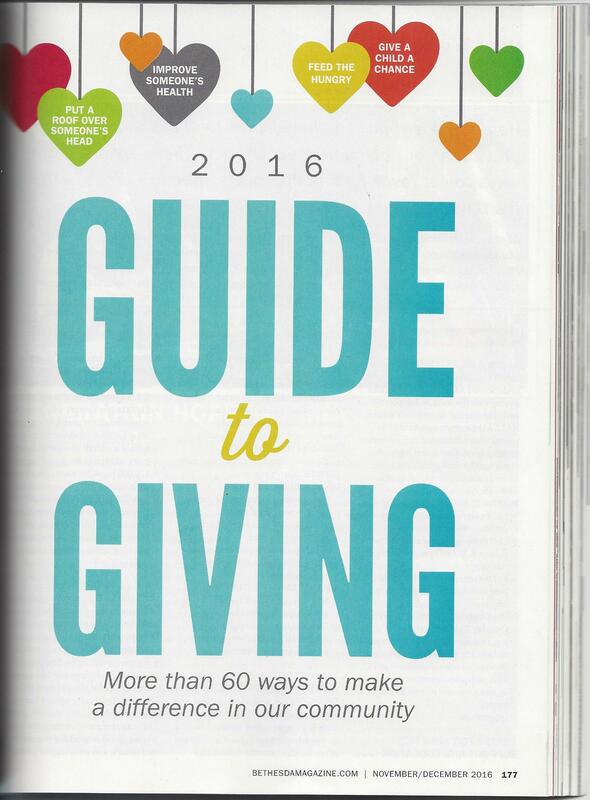 Bethesda Magazine released its 2016 Guide to Giving in it’s November/December issue. 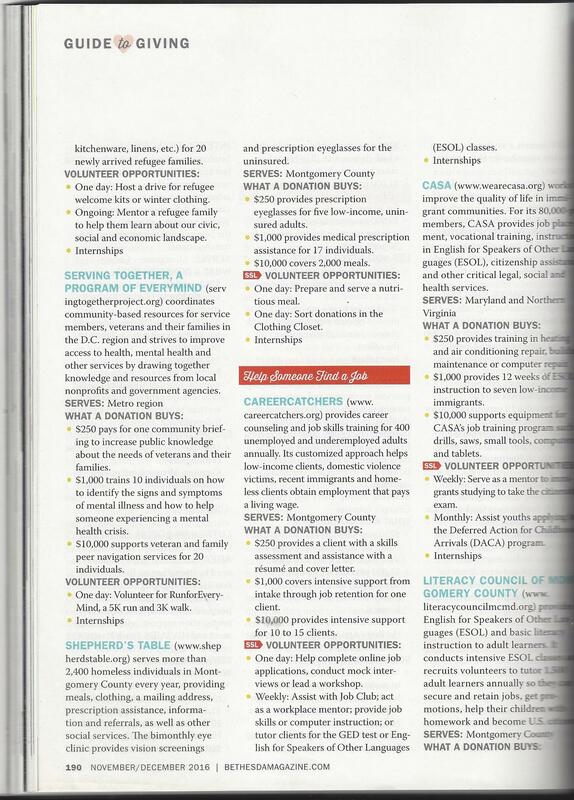 Check out our profile here as well as the wonderful work done by numerous organizations all around Montgomery County.